'Review some sweets' said the email. 'Great' I replied. When The Gobstopper got in touch with me recently, offering the opportunity to make up one of their Kilner jar gifts I barely paused before I hit reply to agree. I'd seen a review of the sweets on my friend's blog, Sim's Life so I knew what to expect. 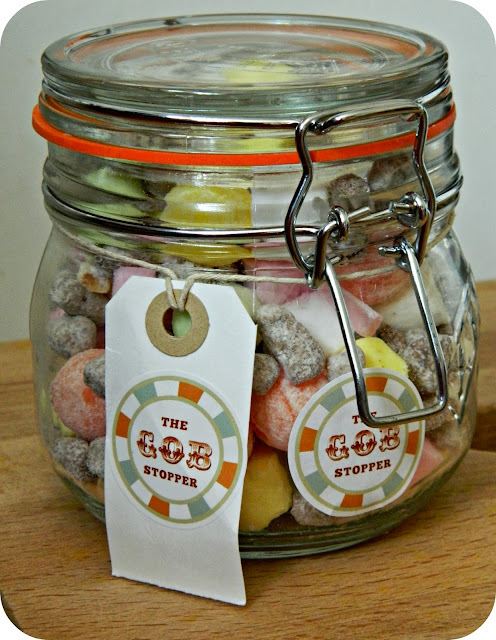 Clicking on The Gobstopper website takes you through to an attractive site which showcases their 'Click 'n' Mix' jars, Retro Sweets, a range of gifts and wedding sweets. I was offered the opportunity to select a small 'Click 'n' Mix' jar, which mixes three of your favourite sweets within. You can also buy medium (five products) and large (nine products). Once you've chosen your size you click the pointy finger to select three products from a long list. I was a little spoilt for choice before I opted for some of my old favourites - Choc Nibbles, Orange and Lemon Fizzballs and Edinburgh Rock. In theory you could opt for the same sweets all the way through the jar, if you have an especial favourite, but I wanted to try out a combination of three. A few days later the jar arrived, well packaged to avoid any breakages and beautifully presented with a cute tag. They use genuine Kilner jars which are embossed to that effect (no cheap copies of them) and, as the jar itself is something of a style icon with the distinctive orange seal, it really does make a perfect gift. 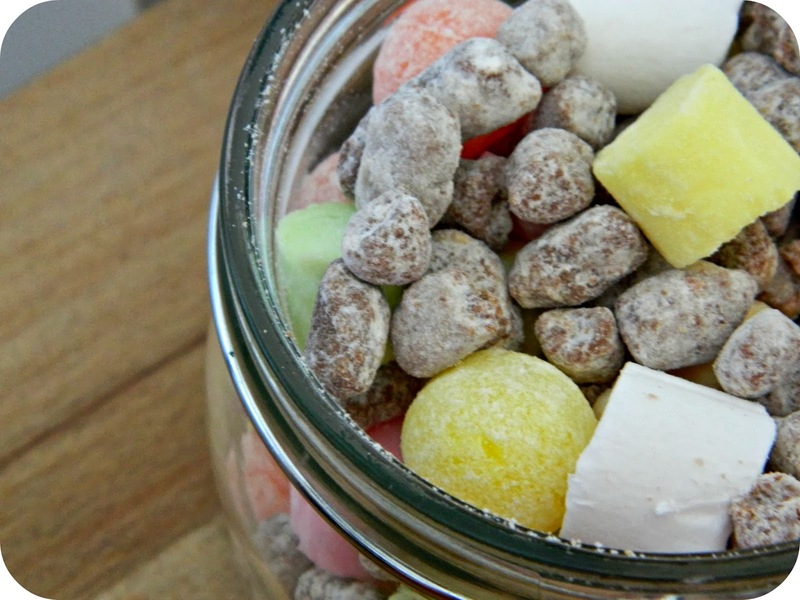 The Kilner jar is easy to open so nothing stands between you and your sweets. The sweets tasted great. The Edinburgh Rock had the perfect chalky texture, the choc nibbles were sweet and the fizzballs had just the right amount of sweetness. All in all I was very happy with all of them. The mixture of sweets looks really pretty in the jar and I think it would be even more effective if you chose three contrasting colours of sweets. When you've eaten all your sweets you can use the Kilner Jar for storage (of more sweets?) in your kitchen. The jars would make a really great gift and are perfect way to let someone know you are thinking of them. I'd definitely recommend them as a fun alternative to flowers or other sorts of gifts people send 'just because', or for a particular reason. I was very pleased with the service and the website, and the sweets of course. Disclosure: I was invited to try out the ordering process and sweets delivery. All opinions are honest and unbiased.